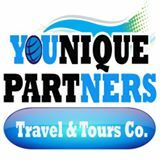 Younique Partners Travel and Tours Co., an ICCP member, was previously the RN ONE21 Travel and Tours, founded by Mrs. Nerissa “Ners” Padua. The company has been in the industry for almost six years. With Ners’ vast experience in travel agency operations, the company is able to anticipate clients’ usual requirements and make travel planning stress-free. Younique Partners aims to be a ‘one-stop center’ by offering the full range of travel services, from ticketing to tour packages for both local and international flights and destinations. The company currently handles airline reservation and ticketing, hotel and resort booking, transportation arrangement, corporate, educational and travel tour packages, cruises, and assistance with passport and visa processing. Younique Partners plans to create a niche in organizing motivational studies, programs and short courses for students and corporate employees in partnership with hotels, cruise lines, and other organizations approved by the Philippine Commission on Higher Education (CHED). In addition, one of their top goals is to participate in the international programs of the Department of Tourism, as well as in other prestigious travel and tourism events, to promote the country’s image abroad. Their priority tour is Israel. That’s what Younique Partners offers most of the time. The company wants holidays, vacations and occasions to be hassle-free for the client, so it provides most of their travel and tour needs. Apart from the services mentioned above, the agency arranges connecting flights, transfers, welcome packages, guest and group accommodation, tourist activities, and even excursions. The agency’s motto, “Journeying with a personal touch,” fuses their creative and inspirational ideas with the practical application of professional travel planning. The team incorporates choice packages into clients’ personal ideas and desired itineraries. They do thorough research and understand their clients’ requirements. They are keen on details and keep an open communication line with their clients. Younique Partners tries its best to transform clients’ dream escapades into reality. The agency continues to offer new locations and ideas, suggesting fresh or tried-and-tested options. It also provides value-for-money with their exclusive deals with suppliers. Interested clients may call Younique Partners Travel and Tours Co. at (+63) 917-8290767, 922-866 0767, or send an email to [email protected]. They may also drop by at #60 2/F Unit F, EK Building, 110 Holy Spirit Drive, Don Antonio Heights, Quezon City, Philippines. Check out the company’s Facebook account or business listings to know more about their offers and other important announcements on key destinations.